Always be wary of single-origin histories. When someone tells your, for example, that one dude invented porter in London in 1722, exercise skepticism. History usually involves many players and many precursor events. You are now well-armed to dispute what I'm about to tell you: Stephen Wood and Louisa Spencer are largely responsible for reviving American interest in traditional cider. No cider-maker is an island, and I'm surely giving short shrift to some important figures, but as single-origin histories go, this one is tighter than most. In the early 1980s Steve and Louisa were driving across Herefordshire and started passing through orchards which Steve later learned were devoted to cider-making. This led them very slowly, over the course of a decade, to begin to try growing cider apples. They started with "several hundred" varieties in grafting trials beginning in the early 80s and eventually, cautiously, began making cider more seriously. One thing that characterizes Steve is a mordant sense of humor about the absurdity of an orchardist trying to figure out how to make cider. “We pushed out a lot of very productive orchards and planted a bunch of inedible apples,” he told me--more than once--usually with a mystified head-shake. I visited a couple days before Halloween on a perfectly clear, autumnal day--and, it turned out, the last day of the harvest. Western New Hampshire looks like what Americans think of as classic apple country, a vision from Thoreau or Hawthorne. When you round the bend, you see an 18th century clapboard farmhouse and below it an orchard of beautifully gnarled old apple trees. 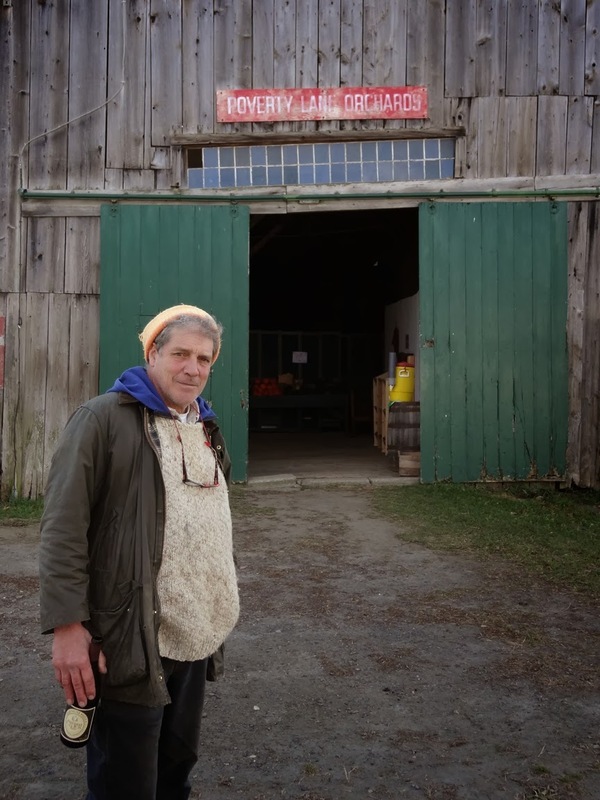 You don't immediately see the cidery, or recognize it, but it's right there in front of you: the barn. It's another antique that Wood slightly modified to accommodate tanks and barrels. In terms of cider feng shui, you really can't top a barn so old the beams still bear the marks of colonial-era hand saws. The history of American cider is one of early flourishing and a quick and decisive collapse. The first immigrants, deprived of land that could produce decent barley, were desperate for something to take beer's place. They had apple trees growing by the early 17th century, and settlers in New England, Virginia, and especially the area around Newark, NJ (!) were big into cider. But within a few decades after independence, it was mostly dead. Historians often use the election of 1840 to illustrate how central cider was to American life--that was the year Harrison and Tyler ran on a platform of restoration, with log cabins and cider as symbols. But it actually illustrates just how far cider had fallen from view. In old engravings from the day, you see the famous cabins along with barrels of "hard" cider. Why modify it with the "hard?" Because sweet, unfermented cider had already displaced the fermented stuff. Writing in 1869, JS Buell put it this way: “Most people are familiar with the juice of apple under the name cider, while an exceedingly limited number know anything about the wine which may be obtained from the apple.” By the time Wood began thinking about making cider, it had been obsolete in the US for 150 years. Reviving interest in cider meant reviving the tradition of American cider-making. And here is where two of Steve Wood's decisions would be so influential in the future of American cider. The first decision concerned apples. 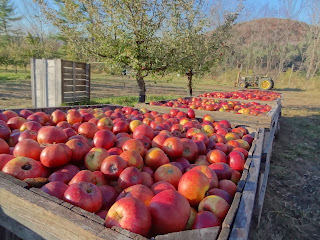 I've looked back through the old sources, and it doesn't look like US cider-makers ever really prized the tannic apples that characterize French and English cider. But Steve did, and they are a big part of what he grows--Dabinett, Yarlington Mill, Kingston Black among others. As we see new growers planting fruit for cider, those are the varieties people are going for. That is in part because Steve is happy to send scion wood from his orchard out to anyone who wants to grow it. 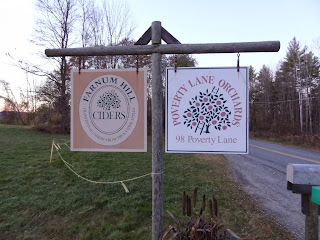 Farnum Hill is by far the most famous American cidery (Google American cider and behold all the stories written by the national media), and yet it has suffered the fate of the pioneer. Steve and Louisa have spent two decades spreading the cider gospel, trying to convince people to give their dry, bitter, and tart ciders a try. You can say they have succeeded: cider hasn't been this big in America since 1825, and the notion of good cider, as complex and sophisticated as good wine, is seeping into the public consciousness. 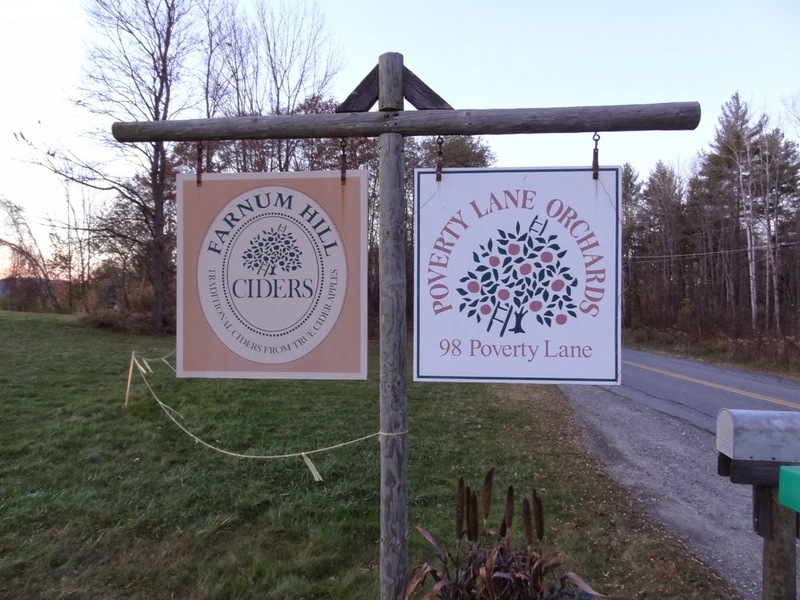 But Farnum Hill is still a small cidery that struggles to earn money. Other cideries have taken what they've learned from Farnum Hill's example and are turning the lessons into serious dollars. It doesn't seem to bother Steve and Louisa too much, though. Steve is pushing sixty and he harbors no ambitions to become the next Percy Bulmer, the Herefordshire cider king. If, in a generation, this is what Americans expect of their cider, I think Steve will feel like Farnum Hill has done its job.